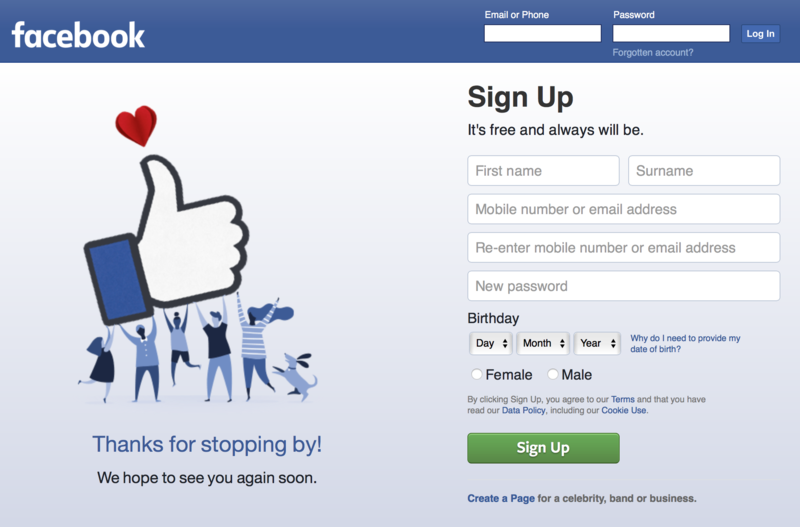 What is the significance of the "Sign Up" button on Facebook's new login page? So Facebook updated their login page. I couldn't help but wonder the reason behind having a Sign Up button in the header when there already is a Sign Up form in the body section. What aspect of UX does it improve? 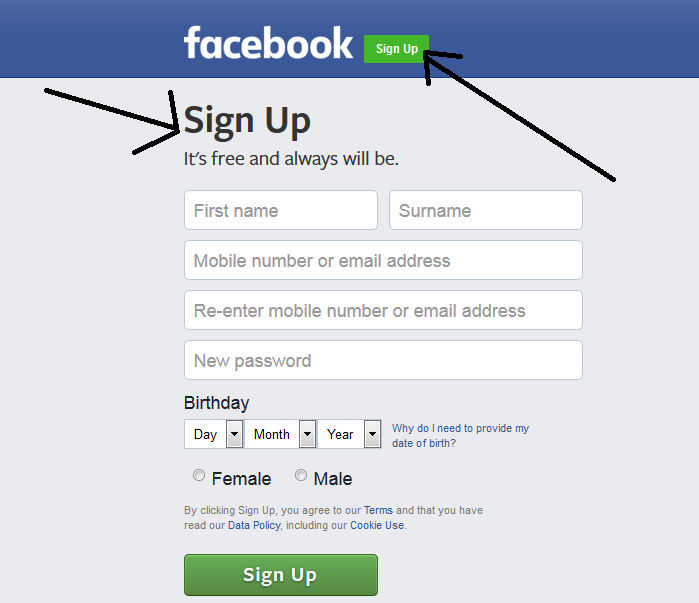 I don't think Facebook would have redundant button that calls to the same action.Beside, that looks a bad design from my point of view.Nevertheless, I could only answer why Facebook uses the color green as their sign-up button. One of the test that was done by Hubspot, they find that colors "red and green" increases conversion rate, uses different color " to enforce behavior" and make a drastic impact on signup. Are you still seeing that? I see no such "Sign Up" button at the top, only a "Log In" button. which makes me think it may have been a temporary glitch or oversight. How some external links in facebook in-app browser opens with swipe carousel template? What is the color logic behind big mobile application brands like facebook, google etc.? How do I upload a GIF on Facebook that is the correct size and automatically plays from Facebook?